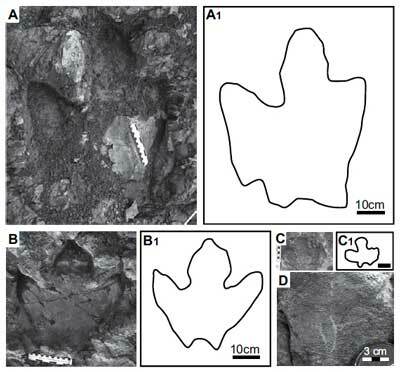 Tiny baby dinosaur tracks discovered in Alaska may have big implications for our understanding of the giant herbivores that once roamed the Arctic, paleontologists say. The baby tracks are among thousands of dinosaur prints of all sizes recently discovered on a remote slope in Denali National Park. Scientists have identified tracks, which are said to be exquisitely preserved, as belonging to hadrosaurs, the family of large-bodied, duck-billed dinosaurs that grazed from Mexico to what was once a lush and verdant North Polar region. 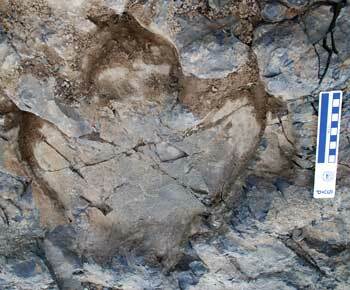 “Without question, Denali is one of the best dinosaur footprint localities in the world, but what we found … was incredible – so many tracks, so big, and so well preserved,” said Anthony Fiorillo, paleontologist at Texas’ Perot Museum of Nature and Science, in a statement. In addition to taking the title as the largest tracksite ever found so far north, the prints are also the first that appear to show multiple generations of the dinosaurs traveling together. Stretching over 180 meters across a rocky grade, the wide swath of tracks range in size from over 70 centimeters long to scarcely 10 centimeters. Analysis of the tracks’ patterns revealed that they cluster around certain size ranges, suggesting four distinct age groups — full-grown adults, nearly mature subadults, juveniles, and babies. Cute factor aside, the presence of baby prints suggests not only that hadrosaurs traveled as families, groups of families or other kinds of “social herds,” the paleontologists said, they also indicate that duck-bills were likely not migratory and instead made their home year-round in the ancient Arctic. 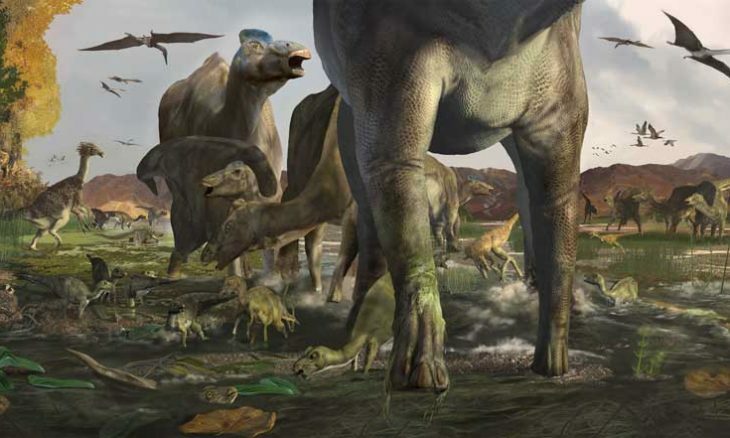 “We were so excited when we found tiny, baby footprints, because we instantly knew this was the evidence to support that polar hadrosaurs survived through winters and lived as a herd to protect each other like other mammals do,” said Yoshitsugu Kobayashi of Japan’s Hokkaido University Museum, one of the study’s co-authors. Very young dinosaurs would likely not be able to make extended migrations to more temperate climates, the team notes in their paper. And moreover, the Arctic was substantially warmer 100 million years ago than it is today. Indicators of the ancient climate, including fossils and rock samples, suggest that the polar region experienced winters seldom colder than 2 degrees Celsius, while summer temperatures may have been as high as 12 degrees. But evidence has shown that some polar dinosaurs developed adaptations to help them thrive in an environment that still had its challenges, including cool temperatures and long, dark winters. An artist’s rendering depicts how the trace fossils in Denali may have formed 70 million years ago. But much remains to be learned about what life was like in Late Cretaceous Alaska, and here the Denali trackway may provide even more rare data. The samples there are so well preserved, the scientists said, that they also reveal abundant of evidence of the invertebrates that lived alongside — or more likely, underneath — the Alaskan hadrosaurs. “The burrows and trails of mud-loving beetles, mole crickets, midge fly larvae, and other sediment-dwelling beasties demonstrate that the whole cast of characters left their traces of life in the river bank sediments during the warm summer months—frozen in time, waiting to be discovered,” said Stephen Hasiotis of the University of Kansas, the third co-author of the study. “There were lots of invertebrate traces – the tracks of bugs, worms, larvae and more – which were important to us because they showed an ecosystem existed during the warm parts of the years,” Fiorillo added.